With ParTSCComm driver you can communicate via serial or Ethernet with Thompson Scale Checkweigher Systems Models 4693 and TSC-350, emulating the StatPak-PC Data Exchanges. IDEC MicroSmart series PLC is the next generation of programmable logic controller. These flexible, adaptable PLCs are as compact as they are powerful, so you can create the system you need without increasing your space requirements or your budget. MicroSmart CPUs are available with built-in 10, 16, and 24 I/O All-In-One units, and 20 and 40 I/O slim style models. IDEC PLCs using Microsmart protocol driver from Parijat (CFIDEther) supports communication with several IDEC PLC’s like FC4A Series, ONC Series, Micro3 and Micro3C series, using Microsmart protocol. It is for MS Compact Framework. 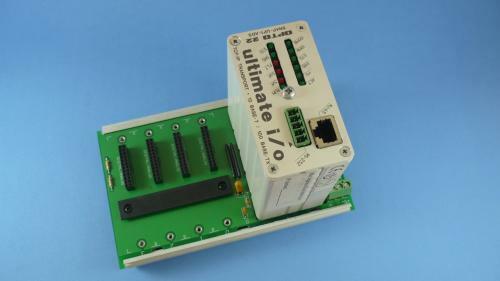 This driver fully supports I/O PLC Types 10, 16, 20, 24 and 40. X-Input N byte, Y-Output N byte, M-Internal relay N byte, R-Shift register N byte, T-Timer preset N byte, C-Counter preset N byte,t-Timer current N byte, c-Counter current N byte, D-Data register , x-Input 1 bit, y-Output 1 bit , m-Internal relay 1 bit, r-Shift register 1 bit, E-Error code, I-Link formatting sequence, K-Scan time, N-Plc system program version, P-User program in ASCII format, Q-Confirm Timer/counter preset, S-Plc operating status, V-User program protection, W-Calendar/clock, Z-System reset, Timer information, Counter information, Timer preset status, b-Counter preset status, d-Timertimpout status,e-Countercountout status. ParDSM3260 driver can provide control& monitoring of DSM 3260 analyzer units (data acquisition and control unit, from Odessa Engineering). It helps record average or instantaneous voltages having DSM 360 as a digital voltmeter, via its RS-232 port. Developed using state of the art Microsoft MFC4 technology for enhanced throughput and low overhead, Parijat’s PLC communication 32-bit OLE custom controls (OCX), acquires/sends data from or to Brooks Petrocount family products via its serial port. Support for IMS, RMS, and SMS is built in. Read or write any slave memory type. Manipulate properties using our custom property sheets for utmost user-friendliness at design time. Modem party line control is built in. Rapid exception processing is available with our CompareInfo method, and auto polling interval may be set or control polling through your code for optimum performance. OCX’s are very fast and also do not require significant Windows resources as DDE drivers or servers do. -Works in Windows 95, 98, NT, 2000, XP and Vista. Microsoft Visual Basic, Visual C++/J++ , Office97, Foxpro95 or any other OLE container. Related VBX Products: Modbus Master & Slave. We also develop custom Windows products and applications with PLC’s, MS Visual Basic, as well. We can also develop any ActiveX that you may need developed for a specific purpose. We also have an GUI MMI software(Visual Process) written in VB which provides basic SCADA monitoring, alarming, trending, reporting. With Visual Process, any CAD drawings, manuals, vendor data sheets, instrument spec sheets, instrument calibration sheets or any other documentation associated with control systems may also be integrated with the MMI/SCADA system to help attain the ISO9000 certification! The OMNI Flow Computer driver provides the ability to communicate with the OMNI 3000 and 6000 family of flow computers. It supports both real-time communications and Electronic Flow Measurement (EFM) for historical data. For real-time only communications, the OMNI Flow Computer driver can be purchased individually or as part of theOil and Gas Suite. For applications requiring EFM and real-time communications, the OMNI Flow Computer driver can be purchased as part of the EFM Suite. EFM capabilities include scheduling and exporting EFM History, Alarms, and Events data to industry standard and custom formats. - Supports all OMNI devices which uses flavor of OMNI Protocol. 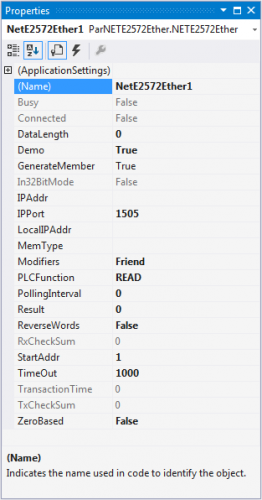 - Can read up to 128 Words of Input / Holding registers or 2000 Bits of Discrete Coils / Input coils in one transaction. - Client driver for Emerson Process (old Bristol Babcock) gas and liquid flow computers& controllers, supporting BSAP protocol. Includes series 3000 &Controlwave systems. -Both IP & Serial port connections supported. - Supports reading and writing signal tags by name and address, including retrieval by match function. - Reading archive and audit trail data. - Reading and writing to analog and digital arrays. - Transactions configured via strongly typed transaction objects. The Smart Server is a versatile smart energy manager that connects control devices to IP-based applications such as enterprise energy management, demand response programs, street light management systems, and high-value remote asset management programs. - Supports all Lon work Devices’ or any other device which uses Smart-Server by Echelon with SOAP calls as a master/client. With ParTSCComm driver you can communicate via serial or Ethernet with Thompson Scale Checkweigher Systems Models 4693 and TSC-350, emulating the Stat Pak-PC Data Exchanges. Client driver for CTI2572 Ethernet adapter for 2500 series CTI controllers or 500 or 505 series Siemens SimaticPLCs (old Texas Instruments) via CTI E2572P-ECC1, E2572 or CP2572 module. - Read and write V and K memory, discrete inputs X and outputs Y, word inputs WX and outputs WY, control registers, timers, drums, and system status words. The Eaton cutler Hammer Incomprotocol for Impass systems driver from Parijat (ParImpacc), supports communication through serial or Ethernet ports to Eaton Cutler-Hammer devices using Incom or Impacc protocols, as a Master format. 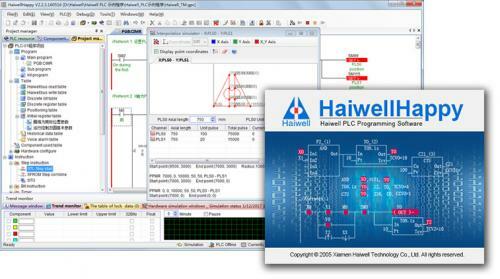 The driver enables users to capitalize on the low cost of communications equipment for use as the backbone for a power monitoring system and power quality analysis. ParImpacc can communicate with any serial via MINT or Ethernet viaEMINT device (Master Industrial Communications Network Translator), equipment as breakers, digital meters or motor overload relays. It supports communication with MPCV, IQ 200 & other Eaton devices. The IMPACC protocol module is designed to communicate with devices that use the ASCII version of the INCOM protocol to communicate with a host. -Supports all Moeller PLC’s using EasyComm Protocol or any other device which uses EasyCommprotocol . 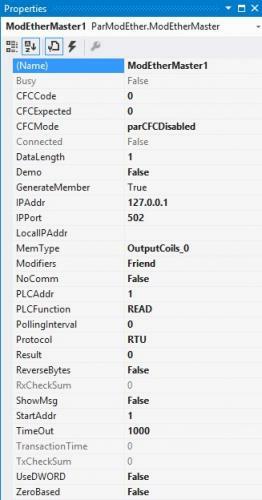 Using Microsoft Visual Basic for Windows, Win’95 16 bits acquire/send data from or to IDEC Micro3® family PLC’s, with Parijat’s PLC custom controls in a friendly way by setting few properties only. VBX supports both 1:1 & 1: N drops. Read or write any PLC memory type including M, R, T, C, D, U etc. VBX’s are very fast and also do not require significant Windows resources as DDE drivers or servers do. -No software protection keys or disks. -Complete context-sensitive help and built-in manual. -No TSR’s to worry about. We also develop custom Windows products and applications with PLC’s, MS Visual Basic, MS Access. We can also develop any ActiveX that you may need developed for a specific purpose. We also have an GUI MMI software(Visual Process) written in VB which provides basic SCADA monitoring, alarming, trending, reporting. With Visual Process, any CAD drawings, manuals, vendor data sheets, instrument spec sheets, instrument calibration sheets or any other documentation associated with control systems may also be integrated with the MMI/SCADA system to help attain the ISO9000 certification! - Supports all device which uses standard WITS level-0 protocol. 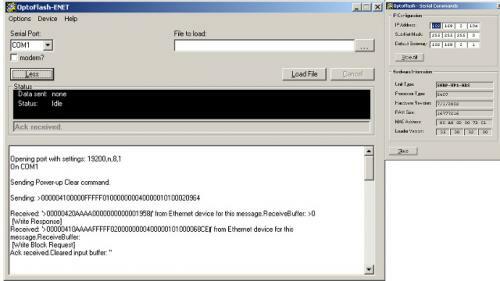 - High-speed communication using embedded Ethernet tool. The Modbus Master or Client provides an easy and reliable way to connect Modbus Ethernet or serial Protocol Compliant devices with applications, including HMI, SCADA, Historian, MES, ERP and countless custom applications. This driver supports all Schneider Electric (modicon) PLC’s and all other devices which use Modbus as a protocol. Open to support future models for this series of PLCs. The ABB Totalflow driver connects to ABB Totalflow devices that support the native Totalflow serial protocol. The Totalflow protocol is typically used in upstream Oil & Gas for process control and hydrocarbon measurement at the wellhead, as well as in midstream Oil & Gas facilities. 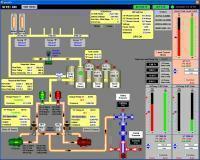 Its capabilities provide data to SCADA, HMI, and measurement applications. The ABB Totalflow driver also collects historical Electronic Flow Measurement (EFM) gas and liquid data to work in conjunction with the EFM Exporter. - Supports all TotalFlow devices which uses tci.dll ver. 305. With the truck shootout graphics as a basis, I made a work related effort by modelling one of our packing areas. This file runs in the Crimson 3.0 emulator and will display little pink fill animated boxes to represent cartons of product being manually filled. Once each of the 21 pack stations get a box full, it is popped onto the conveyor belt and moves along through the process. Each object takes up space along the whole path which is defined with lots of hard code. I built tools to teach those positions intially, without thinking about making the project portable...those retentive tags didn't seem to make it to my thumb drive...so I taught the path easy peasy with the emulator running, then painstakingly added hard code to poke those position values into array points. Each belt has an adjustable "rate" which is not tied to reality (yet). I found that the speed with which the emulator updates a page varies dramatically from one PC to the next. At home, I switch the display page properties to overdrive and get about 15 updates per second when there are 20 or more boxes flying around. At work, I get 40-60 updates per second so I slow it down to enhanced mode. The unlabeled data in the lower left is my quick and dirty method for "frames per second" or updates per second. EDIT r001: After my little doh! (why don't i just count frames in my existing once per second subroutine? ), I discovered the undocumented system variable already doing just that. EDIT r001a: Oops, set the background task back to by caller, went ahead with my dispcount to real time compensation with the goal of having decent accuracy once I later apply real world measurements to my scale factors. Someone may have advice for my calculation of DIspFactor, but the goal is to be able to update the positions of the now 25 animated weight stamped cartons along the path at a control reliably but smooth and pretty rate. All comments and criticisms are welcomed on the discussion link. At some point, I will improve that bit of math and find a way to get realistic behavior from my animation with varying update rates, probably by using that frame rate calculation. How much time do we really have at each scale to make weight and close the liners, etc? This model should help us find out in a very graphical and intuitive way. There are some other neat things I played with, like dynamically switching the background color (click on the updates per second value) and using Dec2Text to move the case weight onto the moving animated rectangles so they travel carrying the numbers along with them. I used 4 pointed star (missile from the video game) for my rectangles this time instead of overlaid images. The 4 pointed star already has a rotation property and can be adjusted to look remarkably like a carton of beef patties! Only one of the "trough percent fill" values is animated, the others are what truly determines whether there is a chuck worth packing onto the pink fill animated pack table. You can disable each of the pack tables by clicking them, the border will flash when disabled, but the trough is actually what you are disabling (whether you can see the trough or not, one exists in tag form for each trough). -Missile occasionally gets taken over by Auto program. Sort of a good bug for a video game, so I decided not to fix it yet. I may add a flag later to make this bug selectable. -Images need black pixels replaced with transparent ones to allow alternative play-field colors/patterns. -Observed failure to complete a level when hero is sole survivor. -Still need to tone down speed especially after level ten when using the overdrive update rate (Page3). Wow, at least in the emulator, Crimson is more than fast enough to reproduce the old school arcade action. I am still having fun with this thing, tinkering with pattern animation now, but the little blurb of a graphics speed test turned video-game had no spine. I have successfully inverted the code and wrappered it storybook 2-d shooter style, and will be posting some variation of the Galaga shooter type of level, some mountain jumping. It may be a while before I finish chugging through the new structure, so I can do space invasions and galaga and whatever else. I can't wait to try this on real hardware. Picture a portrait view with the Menu button being a fire button, so you could touch one action and still shoot at the same time, right? Wow, I remember being amazed by the Crimson 3.0 script language on first sight, but now with the graphical editor being a work of functional genius...I am in love. Then, I need to turn the pattern matching game result toward a work related packaging department to convince the powers that they don't need more checkweighers, I can upgrade three they have...they started to understand, but I can prove it with real time sensor (photoeye + PLC position tracking logic)...substitute my exploding truck for cases of patties, and show them how they would flow with my process changes...I think I did spend a couple of hours on the clock with this, polishing and uploading it, so my employer should get something back from that effort. I need some one who understands widgets, to help me make an "Action Figure" widget out of my O tag folder and related graphics elements too. This one is almost playable...minor tweaking could make it more challenging. 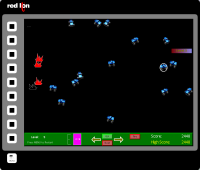 It allows multiple missiles to be fired with no minimum delay between. This makes it unfair. The other changes are numerous. I turned the program inside out as far as logic flow, and this would enable further expansion and addition. PeakHMI is a full featured robust Human Machine Interface (HMI) SCADA program designed with the engineering, operations and management needs and wants at the forefront of development and product roadmap.